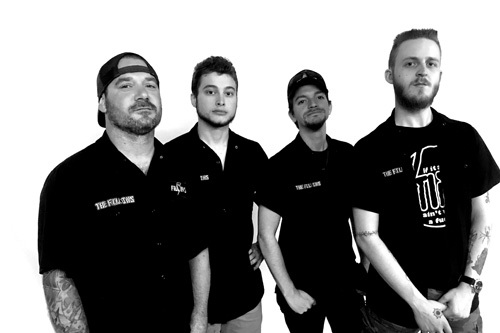 Hailing from Charlotte, North Carolina, The Fill Ins have been rocking out and cutting various singles, EPs, and records since 2014. After priming the rock n roll pump with the single Lock And Load, the foursome drop their latest EP, The Time Is Now, with eight songs clocking under 23 minutes. Perhaps the best way to describe The Fill Ins and their sound is simply, high energy rock n roll. They blend sharp riffs with fast pacing, slick guitar solos, and more than a little punk attitude. Essentially, The Fill Ins remind me of a 21st century Ramones, only heavier and faster, and with better guitar solos. After that analogy, you might want to toss in some references to Motorhead as well. Yet, all these things, The Fill Ins also have a fine command of harmony melody especially in their twin guitar attack. Additionally, they can grab with their catchy refrains as within Lock And Load, Gold Digger, or Saturday Night. As for the album and the songs, it's pretty much pedal to the metal straight from the starting line. Hit The Gas, Hate, It's Blast, and the aforementioned Lock And Load are definitely speed metal rockers. And apparently, ballad is not in The Fill In's vocabulary. You won't find a single one. Essentially, The Fill Ins deliver feisty party rock suitable for anything from a small dive bar to a backyard hamburger and kegger fest. Mosh pit optional. 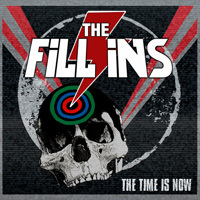 The Fill Ins' The Time Is Now is easily recommended.